Nails: Mike Pocock @Streeters London, Headpiece: Ayami Nishimura, Model: Sophie D @ Models 1. Heard about a fabulous but small exhibition taking place at the Diesel’s Shibuya store here in Tokyo, Japan and simply had to stop by and see for myself. 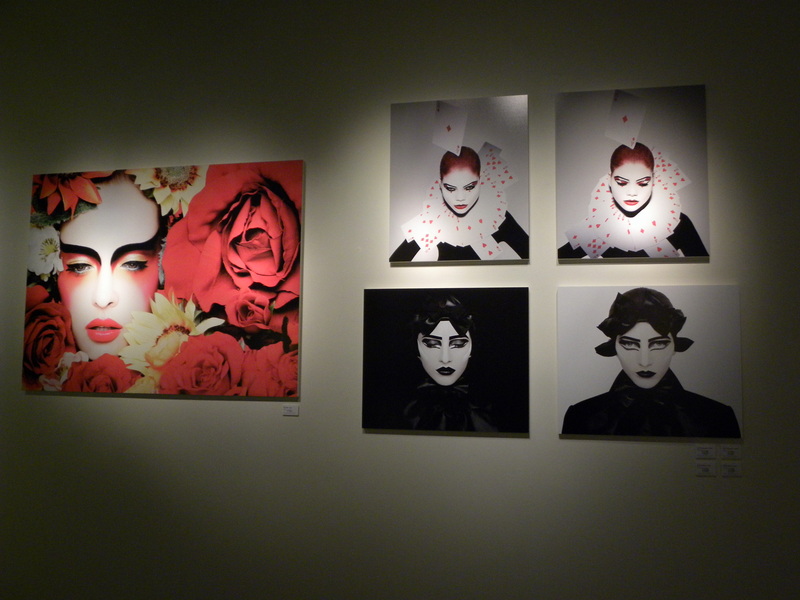 They are currently exhibiting over 20 prints showing the extraordinary work of Japanese make up artist Ayami Nishimura and British photographer Rankin. 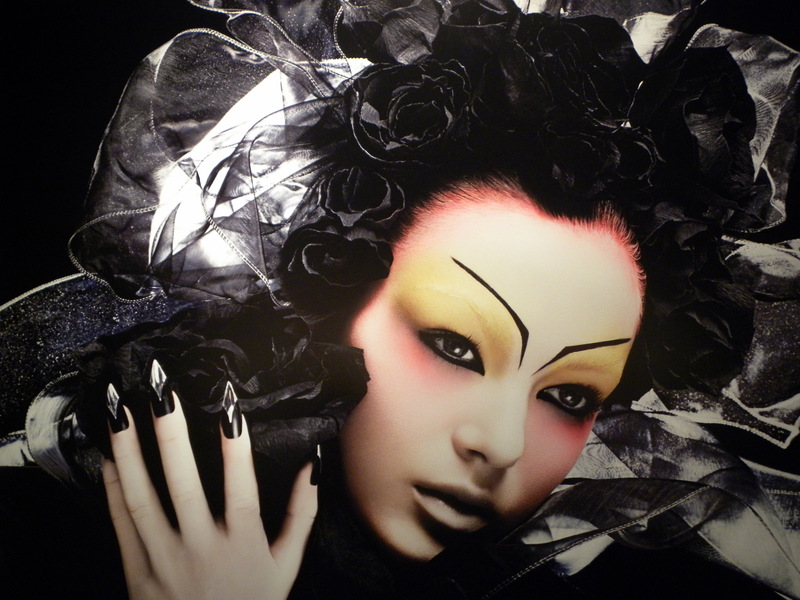 A fierce combination that could also be viewed in the gorgeous book Ayami Nishimura by Rankin. The make-up was very dramatic and a bit reminiscent of traditional 歌舞伎 (kabuki) make-up with its bold black eyebrows, red accents and painted white faces. Hmmm, perhaps not for the faint hearted to try. Halloween instead maybe? 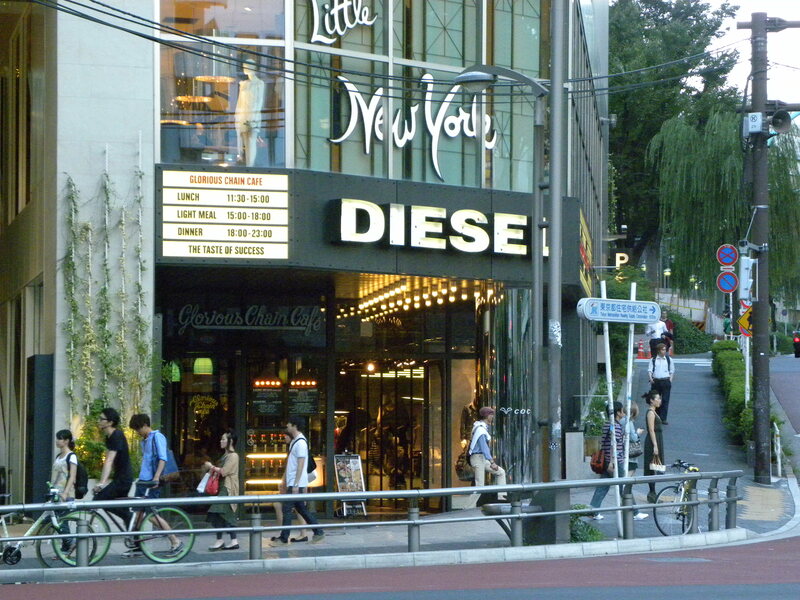 The Diesel Shibuya Store that doubles as an art gallery in the back of the lower ground floor. This entry was posted in Art, Beauty, Exhibition, Fashion, Inspiration, Tokyo and tagged Art, Ayami Nishimura, アーティスト, メイクアップ, メイクアップ アーティスト, Beauty, Diesel, Diesel Art Gallery, Exhibition, Fashion, Gallery, Inspiration, Japan, Kabuki Make-Up, Make-Up, Rankin, Shibuya, Tokyo, 最新アート情報, 歌舞伎, 歌舞伎 メイクアップ by linneabylinneanilsson. Bookmark the permalink. The first picture is fierce!